This magnificent baroque jumbo freshwater pearl necklace is 36" long and the pearls measure a breathtaking 11.5-15mm!!! 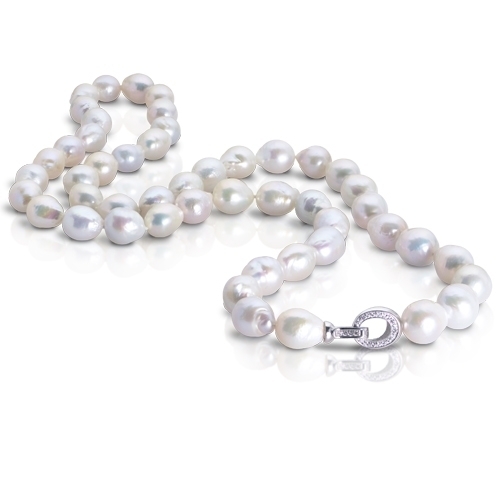 The strand is hand knotted between each pearl and the clasp is made of sterling silver and shimmering white topaz. It is incredibly rare to find pearls like this out side of the south sea variety which cost in the tens of thousands of dollars. These freshwater pearls have been hand collected and selected over the past few years. These strands are incredibly limited due to the rarity of these pearls.